However they cling just as tightly to the observance of Sabbath as the SDA do, going so far to say that the remnant who are saved in the last days of the Tribulation will be those who hang onto the Sabbath as well as the other commandments. Hence the idea they they will be the remnant of Israel, the 144,000 spoken of in Revelation. This also forces them into Replacement Theology to justify their doctrines. 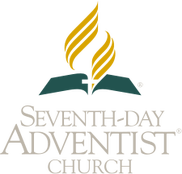 Unfortunately as this distances them from the SDA, it brings them right along side the Jehovah's Witness cult that has the same replacement theology. Their claims not to be SDA but possessing all the same doctrines of them has thrown many oppenents off track. Sadly this has allowed them to succeed where the SDA have failed. 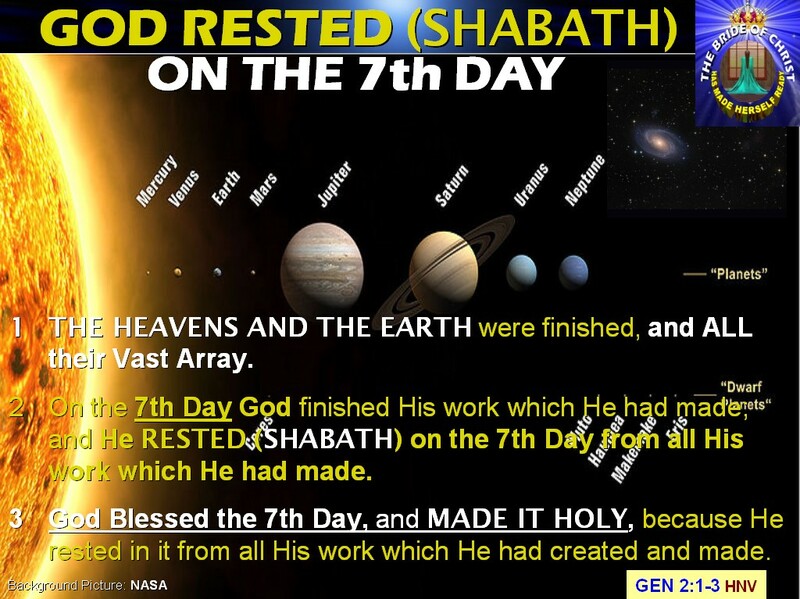 Let us examine their arguments for keeping the 7th day Sabbath, as it differs from the SDA. And hereby we do know that we know Him, if we KEEP HIS COMMANDMENTS. He that saith, I know Him, and keepeth not His commandments, is a liar, and the truth is not in him. Any 7th day Sabbath keeper would immediately point out that in his mind "THE COMMANDMENTS" could only refer to the 10 commandment Law God gave Moses, for among them only do you find the 4th commandment which is to keep the Sabbath holy. Let us for the time set aside this falacy they have that this 4th command applies to everyone, despite OT scripture stating over and over again that the 7th day weekly Sabbath was only for the children of Israel to keep as a sign between God and Israel of the Old Covenant. Rather let us look at whether these verse all written by John really refer to the 10 commandments in the first place. To the left is a perfect example of how context makes all the difference in the world. 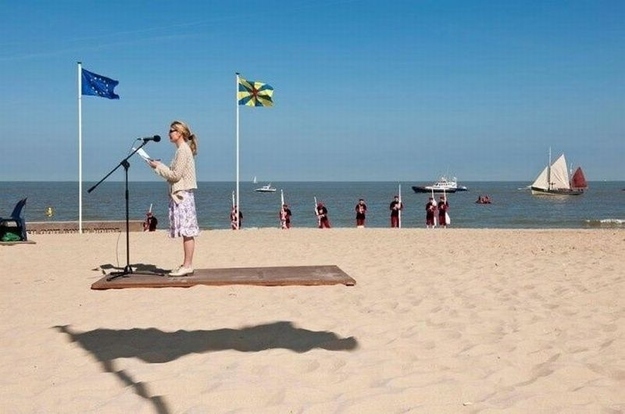 If you know the platform is on the sand, then the shadow would clearly be of a flag on a flag pole. Otherwise without any context, the platform seems to be defying gravity (hovering over the sand) and casting a shadow on the sand below. For a letter or book which the letter's of 1st and 2nd John and revelation happen to be, the context would be shown in surrounding verses or in the previous sentences to the verse we are looking at. If we glance through 1st John, we do indeed find the context for the phrase "HIS COMMANDMENTS"
There you have it. John includes what he means by "HIS COMMANDMENTS" within his first letter. Exactly between 1 John 2:3-4 and 1 John 5:3. In it he leaves no room for debate what commandments he wants his readers to be keeping. And as if John was even expecting Sabbath keepers to dispute what he wrote, he included another verse which debunks any notions of referring back to the 10 commandments of the Jews. Be wary of people that say they have doctirines that have been ignored by Christians for years. All doctrine are to be checked in context of the whole Bible. No doctrine no matter how pure and holy should be exempt from this scrutiny, not even mine. Be equally wary of people that say if you do not follow their doctrine, you are not saved and won't go to Heaven. The only doctrine you need, to be saved, is that of BELIEVING in Jesus Christ. For this is a common occurrence in these last days. If you haven't already accepted Jesus Christ and his doctrine of believing in Him. Then obeying, out of appreciation for His efforts, his 2 commandments of love, you can by praying this from you heart. Dear Lord God. I know I am a sinner and need your gift of salvation from my sins. I BELIEVE IN JESUS, the Son of God, as my personal Savior. I believe that His death on the cross and resurrection provides forgiveness for ALL my sins past, present, & future. Please forgive all my sins and come into my heart and life. I hereby trust in Jesus FINISHED WORK alone, and NOT upon me & my "good works", as sufficient to make me right with you and fit for Heaven. Please forgive ALL my sins and come into my heart, Lord Jesus. Seal me with your Holy Spirit until the day you come to take me home. In your Son Jesus’ name. Amen.